First National Bank Stadium is located in Nasrec, bordering the Soweto area of Johannesburg. The stadium was opened in 1989 and with a capacity of 94,736 it is the largest stadium in Africa. It was the venue for the 2010 FIFA World Cup Final, which was played by the Netherlands and Spain. It holds also political importance as it was the site of Nelson Mandela's first speech in Johannesburg after his release from prison in 1990 and served as the venue for a memorial service to him on 10 December 2013. 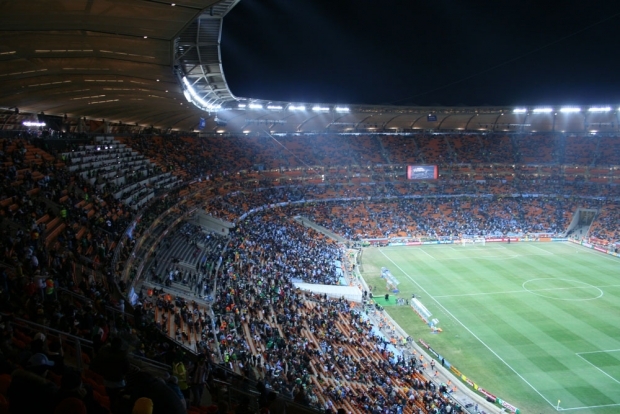 The old FNB Stadium also played a central part in South Africa’s soccer history. The South Africa’s national team, Bafana Bafana, lifted the Africa Cup of Nations in 1996. It also played host to some great “Soweto derbies” between the country’s two most popular rivals, Kaizer Chiefs and Orlando Pirates. 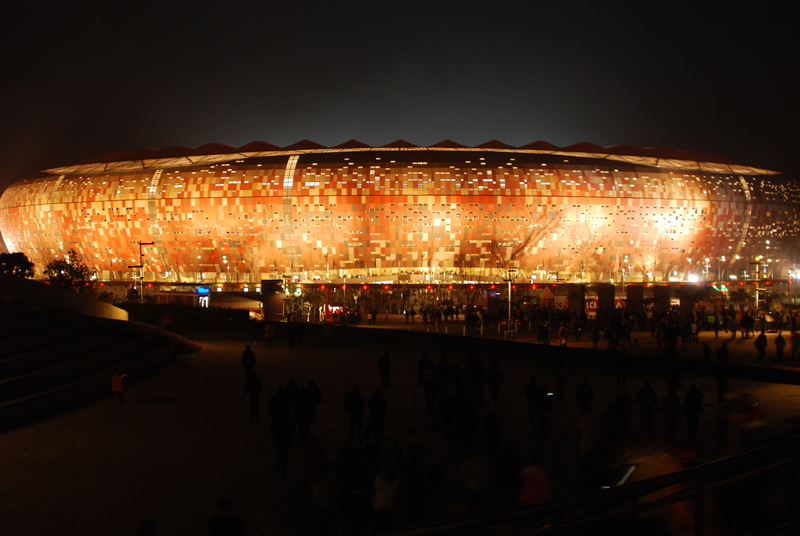 The FNB Stadium is located 12km west of Johannesburg central, close to Soweto. You can get there by renting a car, using the taxi or Rea Vaya busses from city centre. Cost: R80 per person for a group of up to 10. Pensioners: R70. Children under the age of six: free. Tours are offered from Monday to Friday at 9, 10.30, 12, 13.30 and 15. Weekend tours are at 12 and 13.30.